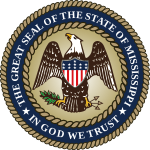 The 2012 United States House of Representatives elections in Mississippi were held on Tuesday, November 6, 2012 and elected the four U.S. Representatives from the state of Mississippi. The elections coincided with the elections of other federal and state offices, including a quadrennial presidential election and an election to the U.S. Senate. Republican Alan Nunnelee, who has represented Mississippi's 1st congressional district since January 2011, ran for re-election. Danny Bedwell ran as the Libertarian nominee. Jim Bourland ran as the Constitution Party nominee. Chris Potts ran as the Reform Party nominee. Brad Morris, an attorney and chief of staff to former 1st district representative Travis Childers, sought and received the Democratic nomination. Former state Representative Mark DuVall had decided to run, but dropped out in order to avoid a Democratic primary. Robert Estes, the owner of Estes Grading and Trucking; and Henry Ross, a former mayor of Eupora who unsuccessfully sought the Republican nomination in the 1st district in 2010, challenged Nunnelee in the Republican primary. Democrat Bennie Thompson, who has represented Mississippi's 2nd congressional district since 1993, is running for re-election. Lajena Williams is running as the Reform Party nominee. Cobby Williams, a motivational speaker, is running as an Independent. Greenville mayor Heather McTeer challenged Thompson in the Democratic primary. Bill Marcy, who unsuccessfully challenged Thompson as the Republican nominee in 2010, is running again. Republican Gregg Harper, who has represented Mississippi's 3rd congressional district since 2009, is running for re-election. John "Luke" Pannell is running as the Reform Party nominee. Crystal Biggs, who had sought and received the Democratic nomination unopposed in the primary, dropped out of the race in September 2012 because of an illness. Robert Allen, a Tea Party activist, challenged Harper in the Republican primary. Republican Steven Palazzo, who has represented Mississippi's 4th congressional district since January 2011, is running for re-election. Ron Williams, a businessman and Republican primary candidate for governor in 2011, is running as the Libertarian nominee. Robert Claunch is running as the Reform Party nominee. Matthew Moore, an honors student at Mississippi Gulf Coast Community College, is challenging Palazzo as the Democratic nominee. Michael Herrington, a service manager who received the Democratic nomination after defeating businessman Jason Vitosky in the Democratic primary, dropped out of the race in September 2012 because of his mother's illness and financial concerns. Former U.S. Representative Gene Taylor, a Democrat who represented the 4th district from 1989 until 2011 and lost re-election to Palazzo in 2010, chose not to run. Cindy Burleson, a political activist; and Ron Vincent, a Tea Party activist and retired engineer, challenged Palazzo in the Republican primary. State Senator Chris McDaniel; Brian Sanderson, a lawyer; and state Senator Michael Watson were rumored to have considered seeking the Republican nomination but chose not to. ^ a b c d e "Secretary of State :: Elections". State of Mississippi Secretary of State. Archived from the original on January 1, 2013. Retrieved December 3, 2012. ^ Corder, Frank (January 4, 2012). "And They're Off!". Y'all Politics. Retrieved January 13, 2012. ^ a b c d e f Amy, Jeff (March 14, 2012). "Wicker, four congressmen turn to general election". The Commercial Dispatch. Associated Press. Retrieved March 14, 2012. ^ Brumfield, Patsy R. (January 13, 2012). "Congress update: Ex-Childers aide Morris in, DuVall may be out". Northeast Mississippi Daily Journal. Retrieved March 14, 2012. ^ Clark, JB (January 10, 2012). "Estes, Ross qualify for congress". Desoto Times Tribune. Retrieved January 10, 2012. ^ a b c "2012 Republican Primary Results". Secretary of State of Mississippi. March 23, 2012. Archived from the original on February 23, 2013. Retrieved March 29, 2012. ^ a b c d "Candidates line up for March 13 Miss. primaries; all 4 US House members expected to run again". The Columbus Republic. Associated Press. January 4, 2012. Retrieved January 13, 2012. ^ a b Miller, Joshua (August 4, 2011). "Thompson's Primary Unlikely to Get Nasty in Mississippi". Roll Call. Retrieved August 6, 2011. ^ a b "2012 Democratic Primary Results". Secretary of State of Mississippi. March 23, 2012. Archived from the original on May 1, 2012. Retrieved March 29, 2012. ^ a b "Biloxi's Matthew Moore replacement Democrat to run against Steven Palazzo". Associated Press. The Mississippi Press. September 6, 2012. Retrieved September 8, 2012. ^ a b Doherty, Tim (January 5, 2012). "Dem wants to oust Palazzo". Hattiesburg American. Retrieved January 13, 2012. ^ Biggs, DeMiktric (February 6, 2012). "Ron Williams Planning Congressional Bid as Libertarian". Mississippi Political Pulse. Retrieved February 19, 2012. ^ a b c Farrell, David A. (February 10, 2012). "Saturday noon is last chance to register to vote in March 13 primaries". Picayune Item. Retrieved February 19, 2012. ^ Newsom, Michael (January 13, 2012). "Taylor won't seek old Congressional seat this year". Sun Herald. Retrieved January 14, 2012. ^ Farrell, David A. (January 7, 2012). "Congressional candidates campaign here, cite reasons for running". Picayune Item. Retrieved January 13, 2012. ^ a b Miller, Joshua (December 5, 2011). "Mississippi GOP Cautious on Palazzo". Roll Call. Retrieved December 5, 2011. ^ a b Pender, Geoff (December 10, 2011). "Potential Palazzo challengers lining up". Sun Herald. Retrieved December 21, 2011.